When it comes to skip bin hire Parkinson can rely on, turn to Truckinrubbish. We can provide skip bins to the entire Parkinson area. Skip bins are a great way to get rid of all of your rubbish in one sweep. Our bins are high quality, and we have a variety of sizes for you to choose from. We make booking a skip bin easy. 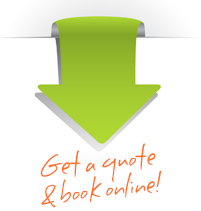 You can simply request a quote and book it online. Our goal is to provide you with quality skip bins at a price that you can afford. 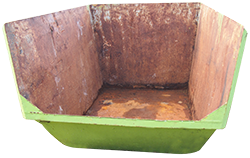 When you want an instant quote for our skip bin hire Parkinson you will want to use our online quote form. First, you will select your postcode and suburb. Next, you will select the type of waste. Are you doing away with general waste, green waste, or clean waste? You will then be able to select your bin size. If you need help with this, we have a size chart that can help you out. Finally, you will enter your delivery date and collection date. We will process your information and give you a free quote. Like Our Budget Bin Hire Prices? Book Parkinson Bin Hire Today! If you like our affordable prices and our top of the line customer service, then go ahead and book your skip bins today. You can book a single bin, or you can book combination bins. There is not any reason that you should look elsewhere for skip bin hire Parkinson. After all, we our prices are among the cheapest in the area, and our bins are high quality and built to withstand a lot of rubbish! Looking for other rubbish removal services? Just give us a call and we will come up with a plan that will help you.